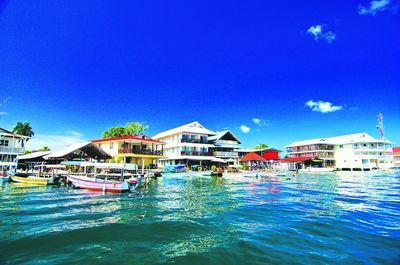 Situated on beautiful Colón Island, Playa Tortuga Hotel & Beach Resort is located within the Bocas del Toro archipelago – one of Panama’s most exotic regions. 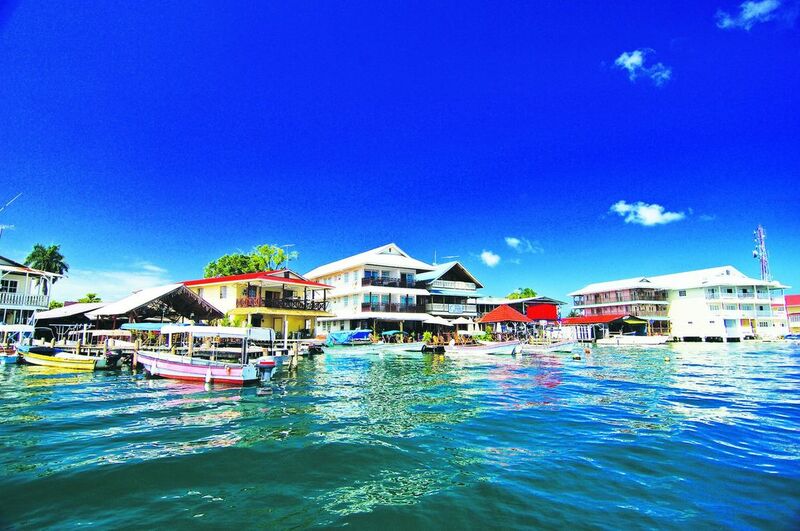 Only five minutes from Bocas International Airport and the provincial capital, Bocas Town, our property is perfectly situated for exploring this unspoiled Caribbean paradise. 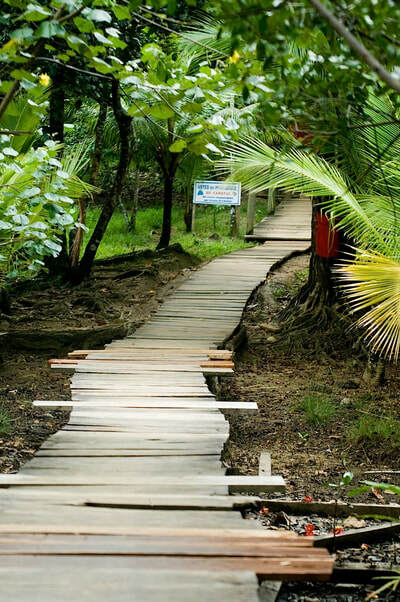 Here at Playa Tortuga Resort, we believe in making it easy for guests to enjoy the many things to do in Bocas del Toro – that’s why we arrange tours and transportation to neighboring islands, departing directly from our own private pier. Simply ask at the front desk and choose from a number of once-in-a-lifetime excursions, such as dolphin- or dolphin-watching, hiking through ancient forests on the nearby Popa Islands or snorkeling or sunbathing at Zapatilla Cay, one of the country’s most beautiful National Marine Parks. If you prefer to stay on the island, there is plenty to see and do around Playa Tortuga. Grab a complimentary kayak and snorkeling gear to explore the peaceful Caribbean waters of Isla Colón, or hop aboard our free shuttle for a day trip to the colorful capital of Bocas Town, just five minutes away. Formed over a thousand years ago from coral reef fossils, Colón Island is filled with rare species, many of them only found in our ancient forests. 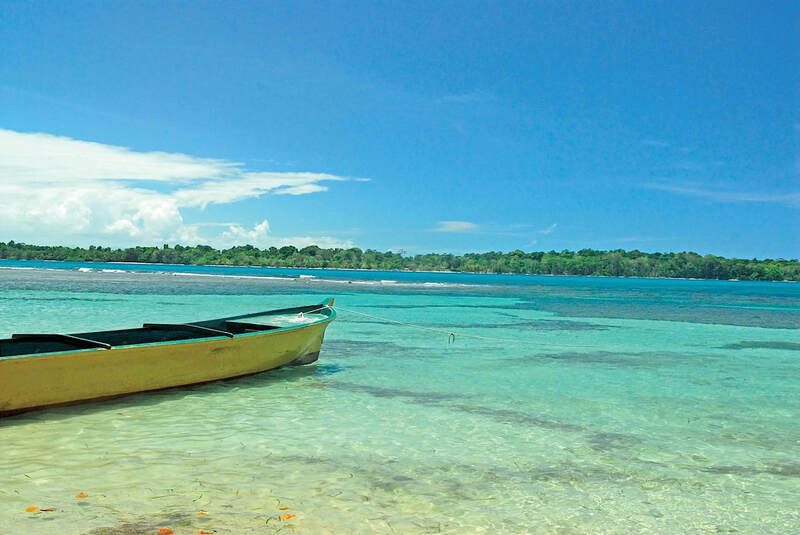 ​Located at one end of Bocas Island, Boca del Drago has natural attractions like beautiful beaches and coral reefs. This area is home to a small native Ngöbe-Buglé community and can be reached by boat or by the road that links it to the City. This beach of calm waters is home to the cushioned starfish (Oreaste reticulatus), orange, red, brown or yellow-colored, with five short arms and can reach a diameter of 50 centimeters in adulthood. Starfish beach is a perfect location to take amazing pictures of your trip. Toward open sea rises from the water Birds island. It is a sanctuary for birds that nest or overfly the island. Depending on the season, this island provides refuge to nearly 50 species. Among the species that can be appreciated are gannets, gulls, pelicans, frigates and a tropical bird with orange peak, white plumage and long tail, that receives the name of Rabijunco Piquirrojo (Phaeton Aethereus), who only nests in three other places in the world, this being the only one in the Caribbean. The bay of Almirante is one of the few places in the world where you can see the Bottle-nosed Dolphins (Tursiops truncatus) on its habitat, surrounded by mangrove. They frequently traverse the trail left by the boats and, sometimes, get close to swimmers and play with them. Dolphins like this area of calm waters to have their offspring. Is the canal that runs between Bastimentos Island & Popa Island and connects Almirante Bay with the ocean. 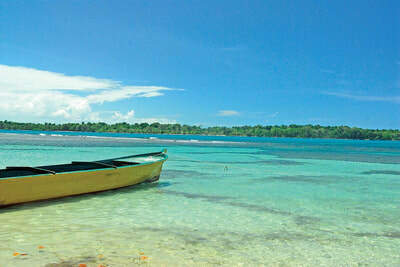 It owes its name to the beautiful coral formations located in shallow waters, ideal for snorkeling. In its clear waters you can observe a variety of tropical fish species under the sparkling sun. It is an extraordinary beach, with strong waves. It is part of the Marine National Park of Bastimentos and owes its name to a small frog of approximately 2 to 3 centimeters, of red vibrant color, which can be found between the leaves of the surrounding area. These are two beautiful islands located on a coral platform part of the Bastimentos National Marine Park. It is believed that its name comes from La Zapatilla, native name of a fruit that grows in it. You will enjoy the beautiful white sand beaches, after taking the 45 minutes hike of the Path of the forest behind the Reef, where you can see a garden of tropical trees, a water well the tree that never dies and a coconut plantation. In these islands nest the green, carey, caguama and baula turtles. A private tour booked through the hotel is one of the best ways to explore Colón Island at your own pace. ​For additional tour information, please contact us.